David Bowie’s Valentine’s Day continues to inspire controversy over its meaning. Valentine’s Day is David Bowie‘s fourth single from his 24th studio album, The Next Day. The single was released on 19 August 2013 and continues to be a source of controversy. 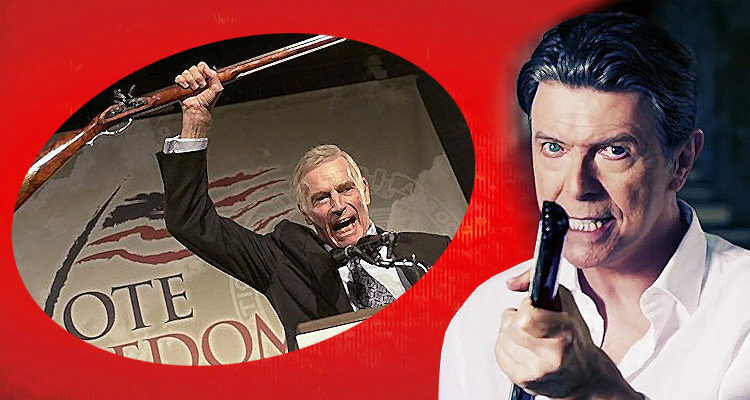 The accompanying music video features Bowie singing in an abandoned grain silo in Red Hook, New York and appears to convey a not so subtle anti-gun message but there is a lack of clarity on its exact meaning. “It’s about mental health rather than gun control. It’s all young people doing these shootings. It goes inside the head of the shooter. David gives him the name Johnny, which I think is the name he’s given to about 12 people in his songs over the past 40 years. Special word of thanks goes out to Wojtek Wacowski for providing background information and inspiration for this article.